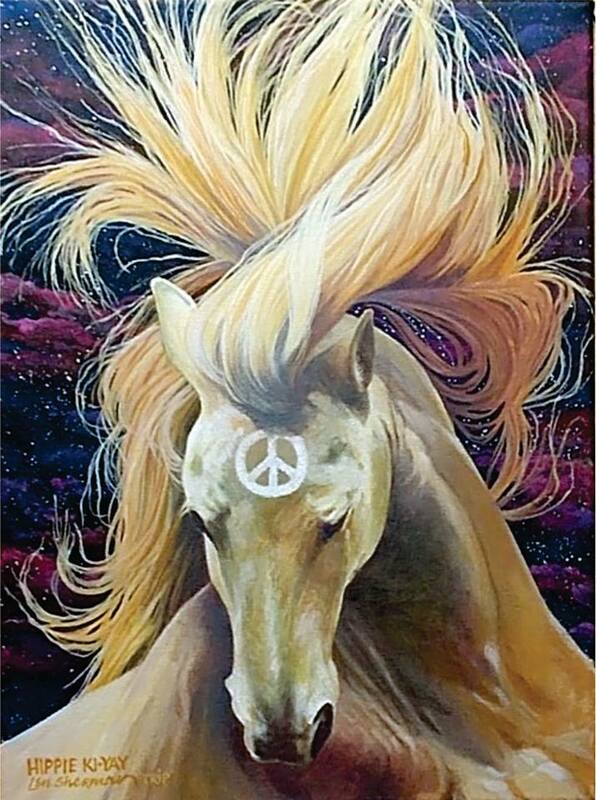 For more products go to our Etsy store..
Trip has written and illustrated five children's stories - stories about life, relationships and the environment. These stories are suitable for school age children to adults. You will enjoy hours of reading stories with your child/grandchildren, share some laughs and create opportunities to discuss the world around us at an age appropriate level. ​Join Trip and take a "trip" through his mind while enhancing your child's world. You can purchase these booklets individually at $7 each or get the whole collection of 5 books for $25 includes shipping! That is a $10 saving! Postage in Canada is included! Not interested in a paper copy? PDF copies are available for $1 each! Have you ever wanted to just hit the road and travel the country? Well, now you can, with Trip 'N Daisy! Well, maybe you can't go,but your heart can! 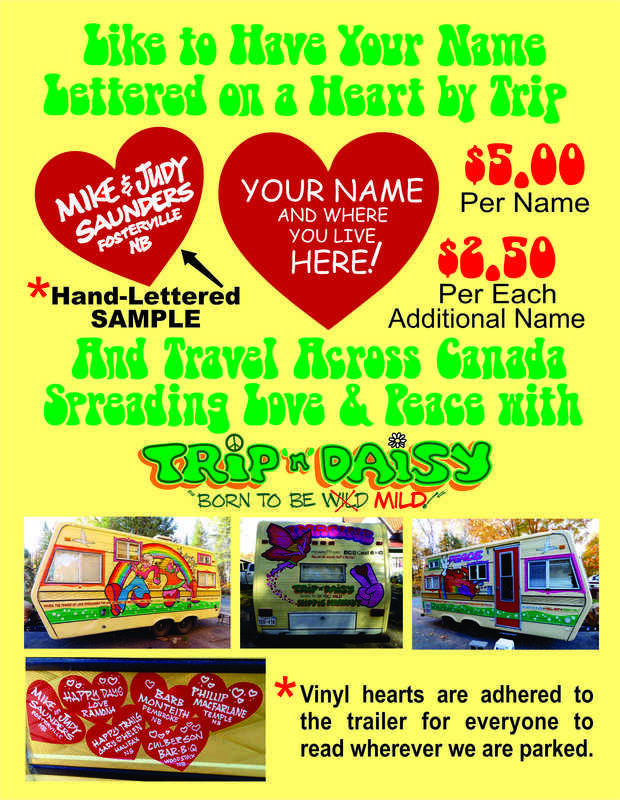 ​For only $5 you can have your name and location hand painted by Trip and cross Canada! Add more names for $2.50 each. You can pay online or when you see Trip 'N Daisy. Just print the names and location clearly and Trip'll do the rest! Send us your EMAIL and we will email you a photo of your heart on the trailer!